The two trainer aircraft have met a severe turbolence during their flight to Thailand that caused some irregularities in the planes. The Royal Thai Air Force (RTAF) has announced that the ceremony organized to welcome the first two T-50TH Golden Eagle fighter training aircraft from Korea Aerospace Industries (KAI) has been postponed. The ceremony was scheduled at the Takhli airbase in Nakhon Sawan province on January 12. 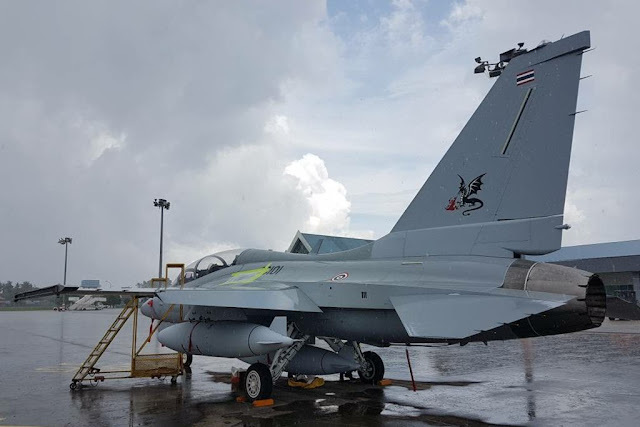 According to RTAF statement, the KAI has notified that the two fighter jets met an extreme turbulence during their ferry flight to Thailand. 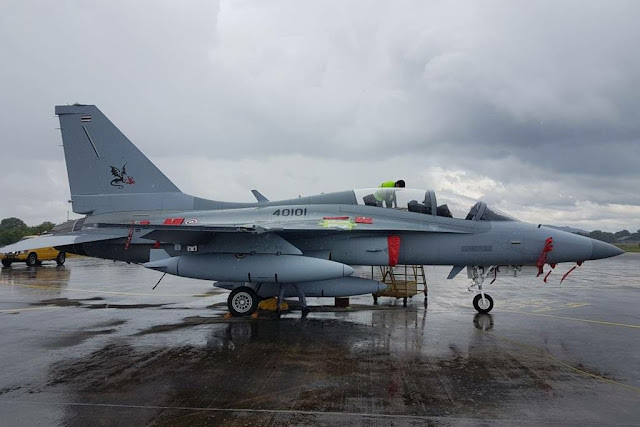 During their planned technical stop at Kuantan Air Base, Malaysia, pilots and technicians have noticed some irregularities and they have decided to request further checks. KAI has declared that it has delayed the delivery of the two aircraft to ensure a safe flight to Thailand. The two T-50TH aircraft have left the plant at Sacheon, South Korea, on January 8, a day later than planned, due bad weather conditions. According to Korea’s Yonhap News Agency, KAI received two separate orders from Thailand to build four T-50TH trainer jets worth US 110 million dollars on Sept 17, 2015 and eight T-50TH jets valued at US 260 million dollars in 2016.